What differentiates you from other DJs and MCs? Many things, but to me the most important distinction is the time and attention to detail that I put into weddings, and the planning process. I will typically meet with every couple who I work with in person three to five times to guide them through the planning process, and then spend hours at home preparing. 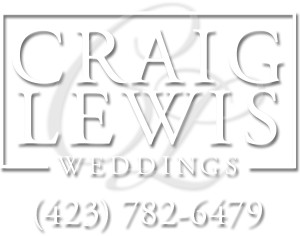 I create personalized introductions that bring out the bride and groom's personalities for the events, such as the grand entrance, first dance, father/daughter dance, mother/son dance, cake cutting, bouquet toss, garter toss, dollar dance, last dance, and grand exit. Can you make the announcements for the grand entrance and special dances at my wedding? To me, this is by far the most important part of what I do. But they're not just "announcements". I take my role as MC much more seriously than that. I strive to keep your guests not just informed, but also entertained, and included. I love to collaborate with couples to invent creative and new twists on the traditional events of a wedding reception that allow the bride and groom's personalities to shine through on their special day, and make their wedding fun and unique. What training and qualifications do you have to take such an important role at my wedding? I have been DJing for 15 years and have done hundreds of events, but I still consider training and learning to be an ongoing process. The most influential training that I have completed would have to be Peter Merry's two renowned intensive training programs for wedding DJs, "The Professional Process", and "Make It Grand". I also attend the Appalachian Regional Mobile DJ Symposium every year (ArmDJs) where I attend seminars and training programs for DJs. I am an active member of the mobile DJ community. I am an officer and charter member of the East Tennessee chapter of the American Disc Jockey Association, which is a professional trade association for mobile DJs. I have also pursued training at ETSU in public speaking, acting, improv, comedy, and sound and lighting equipment. I am a member of the Eastman Toastmaster's Club for public speaking. Finally, although it is not a normal part of the services I provide, I am an ordained minister, and in the event of an emergency, I am able to officiate a wedding. Do you have liability insurance, and a contract? Yes, and you should not hire any wedding vendor who does not. Yes, I have a very wide variety of lighting options, including everything from elegant wireless uplighting for your reception which can be matched to your wedding's color scheme, to all kinds of flashing, spinning effect lights for your dance floor. I know that many of my clients have spent a lot of time and money making the room look beautiful, clean and elegant, and when providing lighting I am very careful not to clash with this. For example, my usual dance floor effect lighting setup is hidden inside my booth behind a silk cover. I don't remove the silk until later in the evening, exposing the lighting. Can you help with ceremony sound? What about rehearsals? Yes, these are both things I can offer. I typically bring a separate sound system for the ceremony, so that I can play special songs as your guests are arriving, as your parents and grandparents are being seated, the groom and officiant enter, your wedding party enters, and finally, the bride walks down the aisle. I can also put a lapel mic on the officiant if needed, and, if arranged in advance, I can provide your videographer with high quality audio recordings from your officiant's mic. I can also provide audio equipment for your rehearsal, and help you direct the rehearsal if needed. How many DJs work for you? I do not hire other DJs. When you hire me, you are guaranteed to get me, personally. There is no one else I would trust with something as important as your wedding! Most of the weddings I do are in East Tennessee, Southwest Virginia, or Western North Carolina, including Johnson City, Bristol, Abingdon, Norton, Kingsport, Rogersville, Greeneville, Asheville, Boone, and Banner Elk. If you are in, or very close to any of these cities, I will not charge for travel expenses. For longer distance events, I do charge for travel expenses, but there is no limit to how far I will travel. I am available for weddings anywhere in the world. More FAQ can be found on my WeddingWire profile.